Lovely card and use of the colors! I added your card -- so sorry not sure what happened! Beautiful Julia, love that soft colour combo and your smooshed watery panel. Julia, this is awesome! I think I can do this one! LOL Your mixed media approach is so different from mine, but this makes such a perfect panel of ocean water, and I have under the sea type stamps to get inky! Thanks for the terrific inspiration! Hugs!! Gorgeous Splash watercolored masked panel for your ocean, Julia. Love your softly colored and die cut under the sea images and sentiment too. 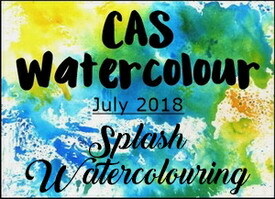 TFS and joining us at CAS Watercolour. Hugs.. I love your watery scene! That background is perfect with your pink and aqua sea life. Thank you for joining us this past month with your amazing creations! This is a beautiful ocean looking splash background, Julia! The sea creatures look right at home! The scripture verse is a perfect match for your scene! Thanks so much for sharing with us at CAS Watercolour! Wonderful ocean scene - love the splash background (perfect colours for the theme! ), and also love the sea flora and fauna. Thanks so much for joining us at CAS Watercolour! Looks like lots of lovelies in that stamp set Julia. Such softness again with this card. 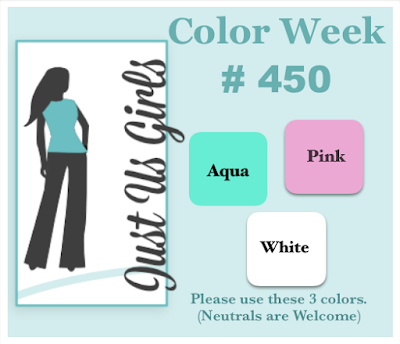 These colors are perfect for your underwater scene! Gorgeous! Gorgeous card, Julia! 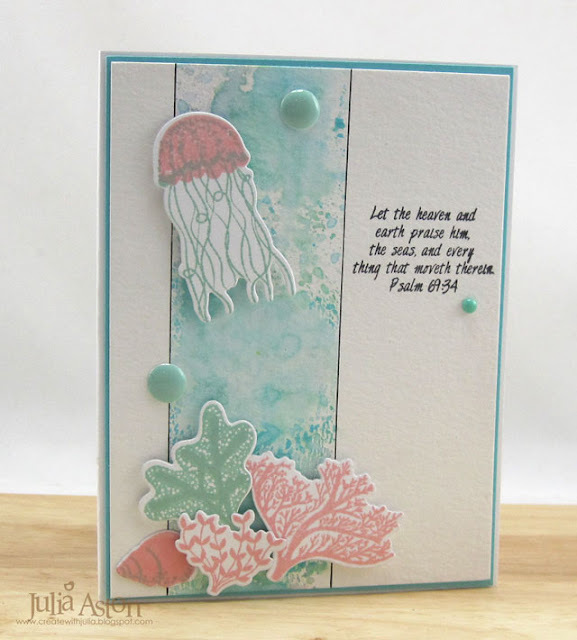 Your use of the colours couldn't be more perfect with your underwater scene and sentiment pairing! WOW! The pouncing looks fabulous, the stamps are great and what a marvellous colour combination, which is absolutely perfect for the fabulous water scene that you have created x. 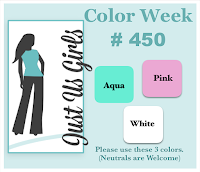 You certainly couldn't tell that you have trouble with a color combo! This is so pretty! I love how the soft colors work with these images once again! Also, sorry for the initial snafu with your card! Glad it was added back in! This is fabulous! That background is perfect for your pink and aqua sea life. So happy to have you and these fabulous creations joining us. You do really great work! I love how you've used these colors, what a fabulous card! You've used the Salt Life stamps beautifully. I love the sentiment you chose! I often have the same problem with color challenges, Julia, but your happy little underwater scene is perfect.